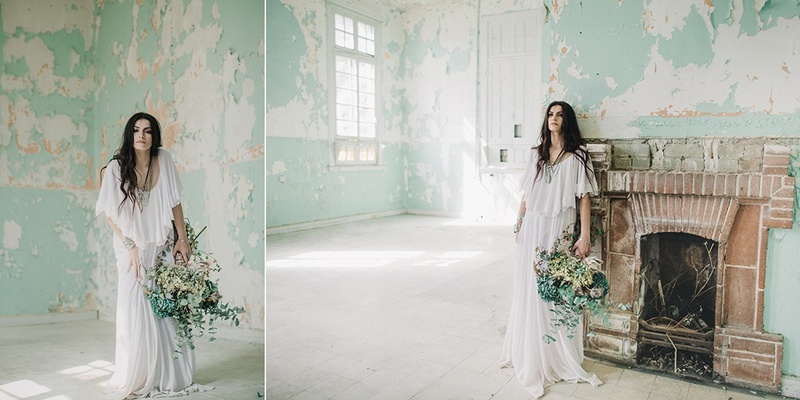 Today’s inspirational shoot is the definition of less is more. 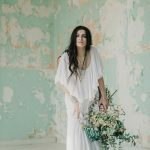 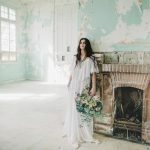 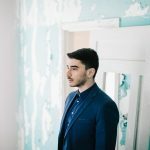 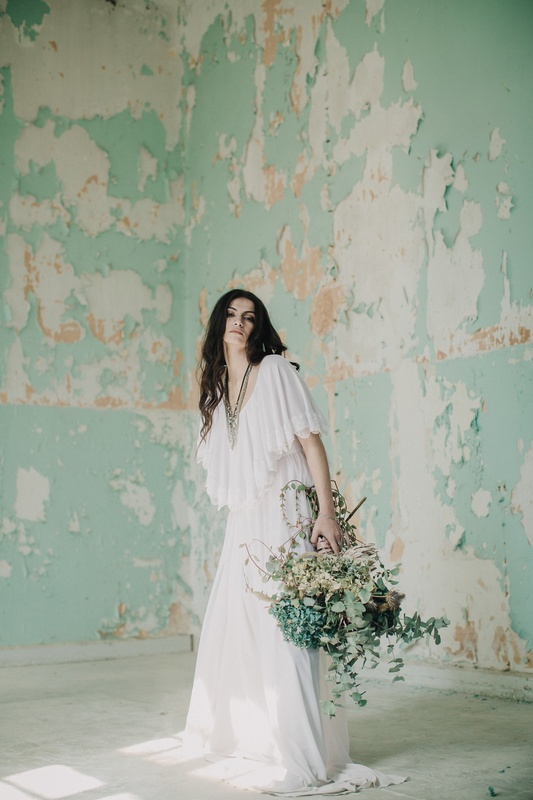 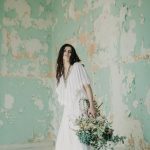 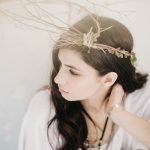 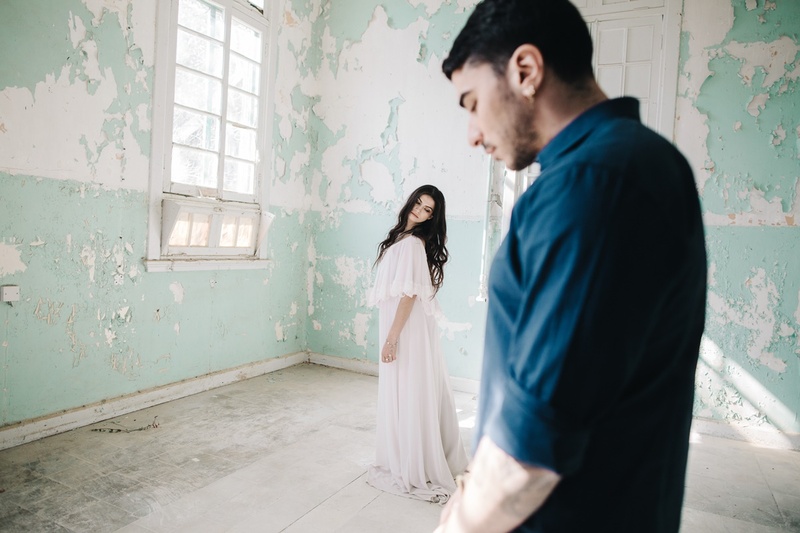 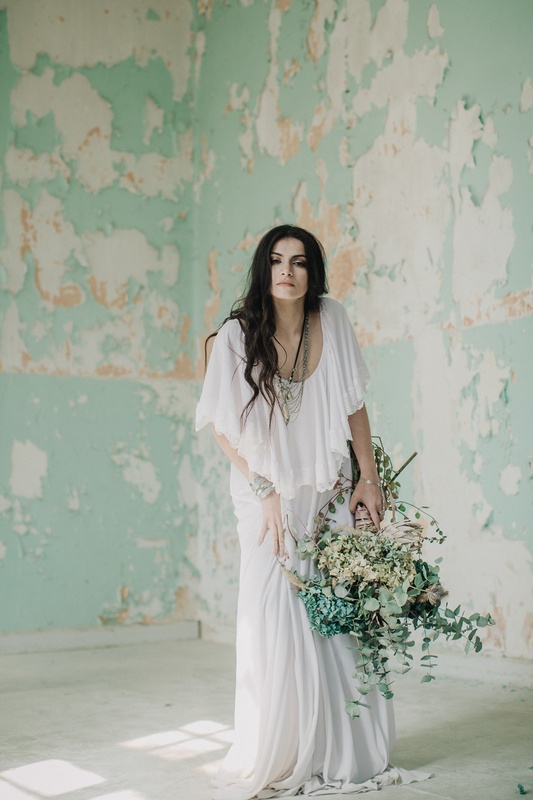 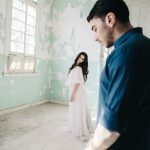 In an abandoned hospital, a minimalist scenery was set up and it was completed with an amazing ethereal wedding dress, a stunning bridal bouquet and a groom’s look that is totally different of what we are used to. 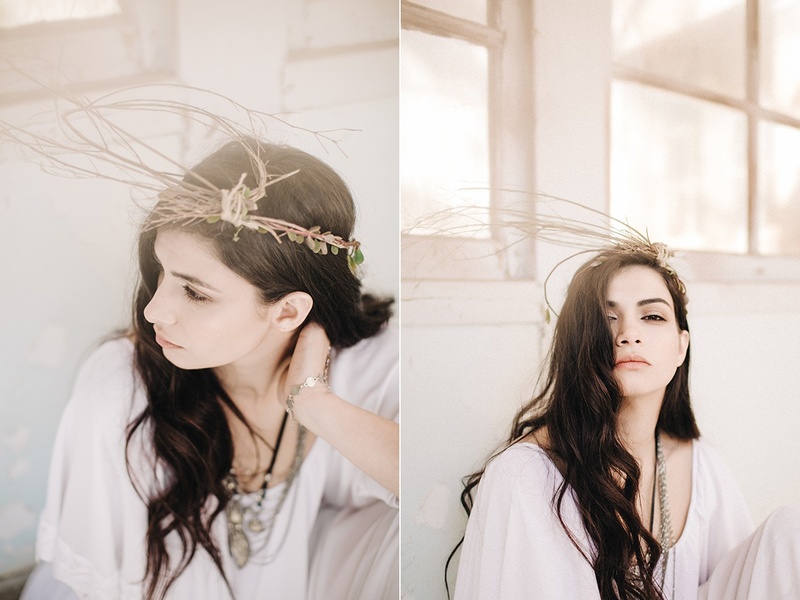 But this is why, we adored this photo shoot from the first moment we laid eyes on it. 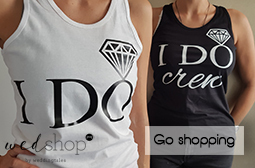 And you are going to love it as well! 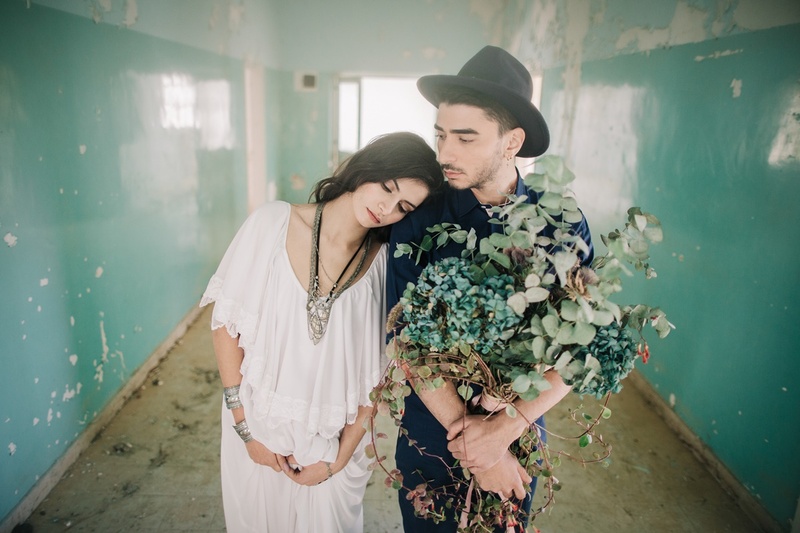 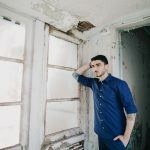 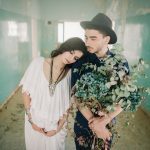 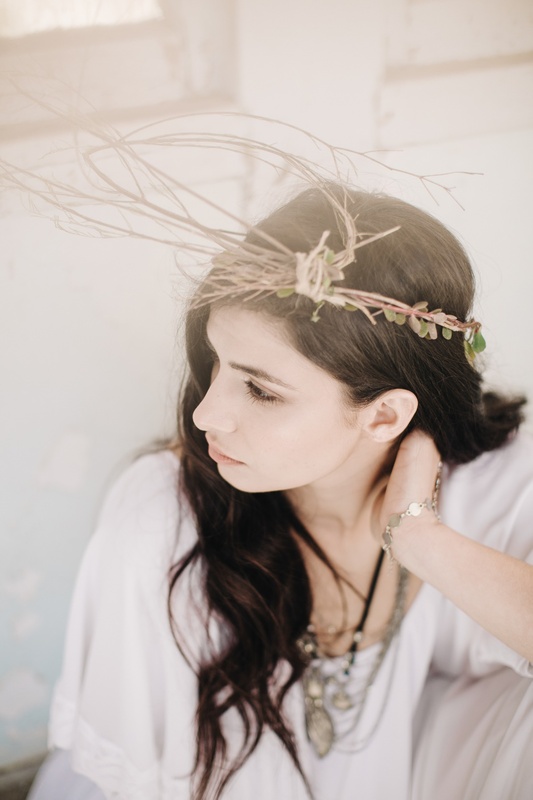 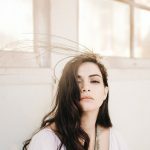 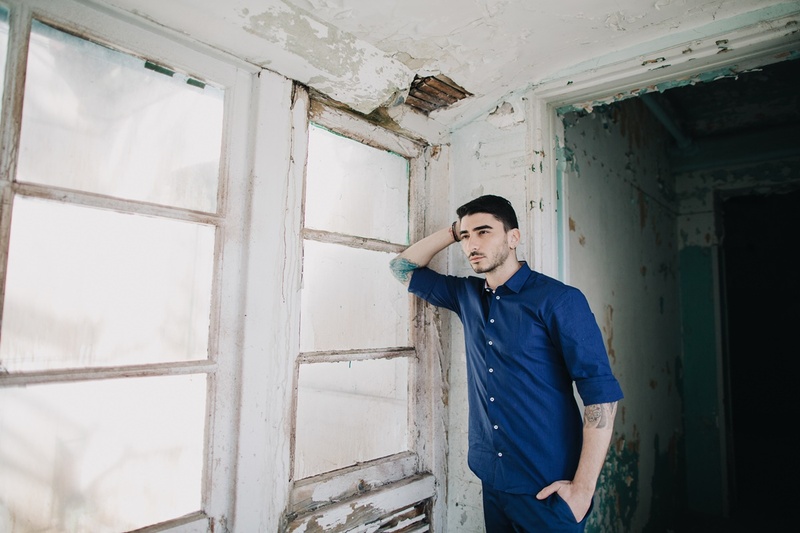 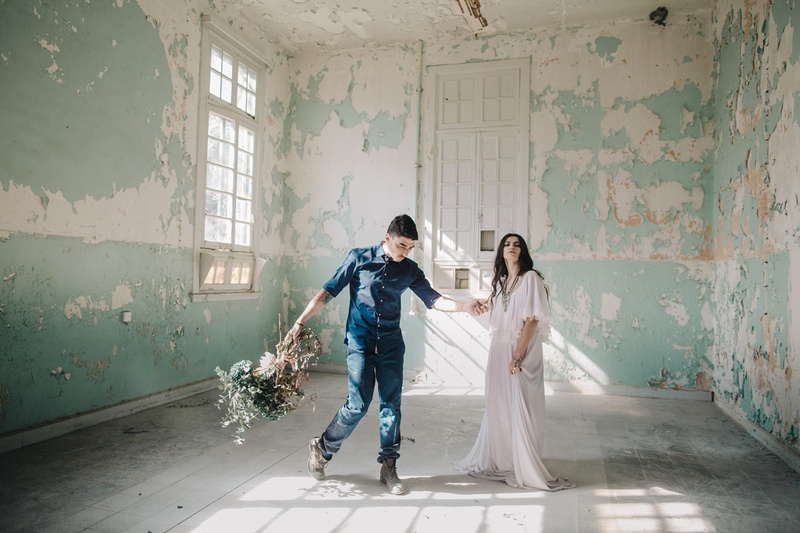 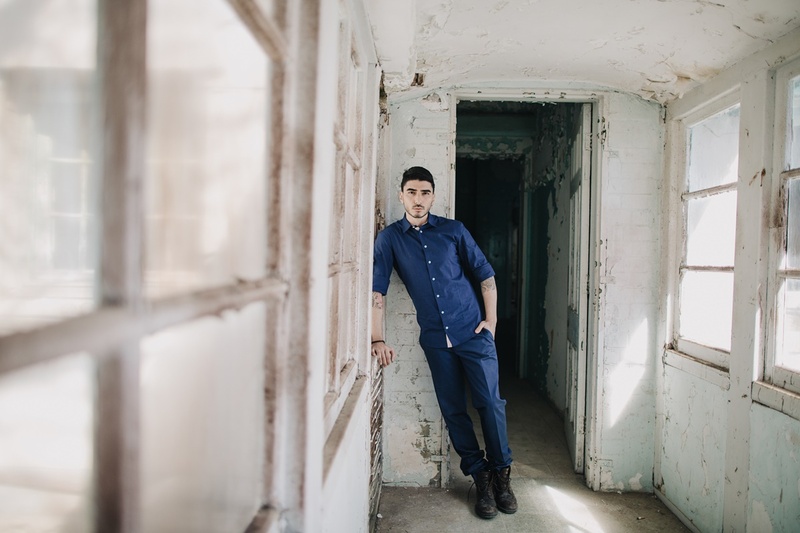 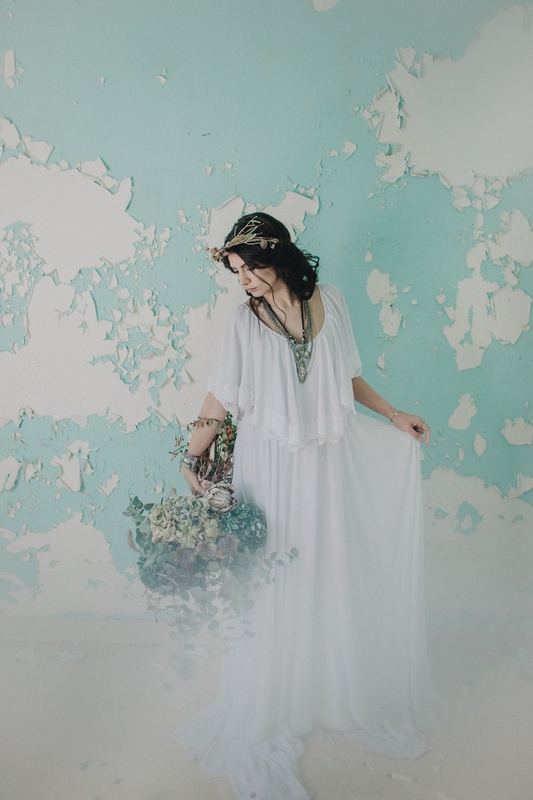 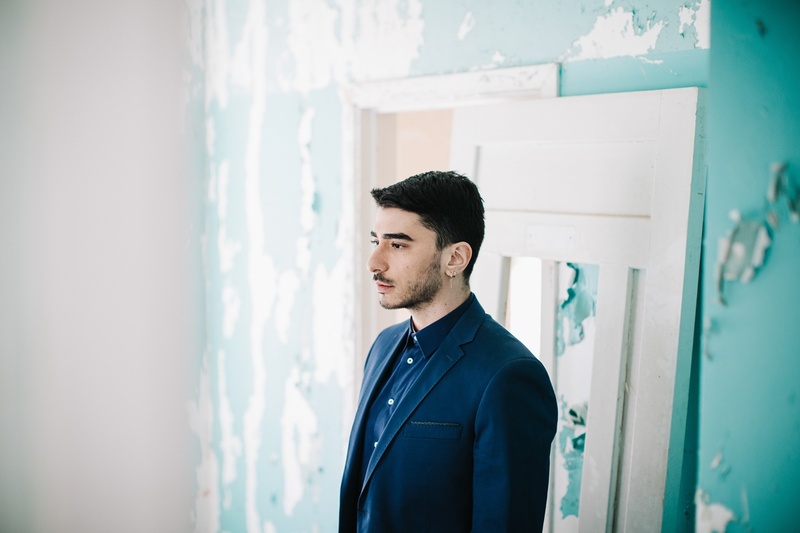 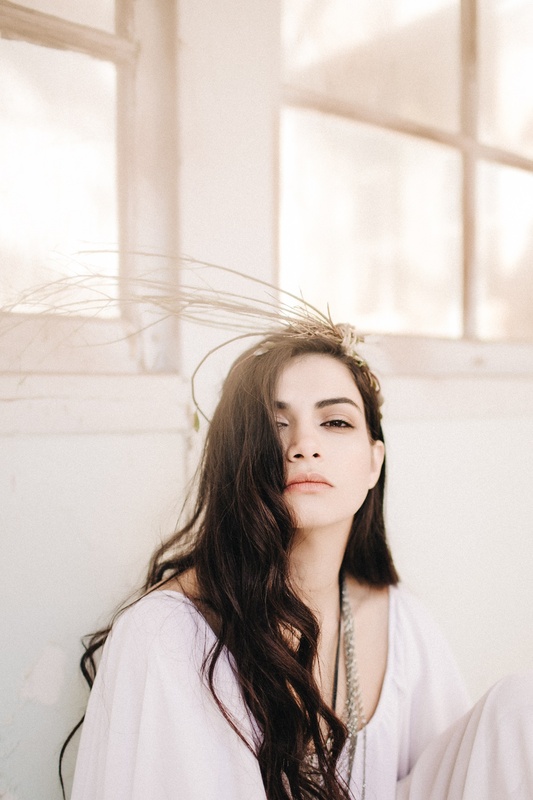 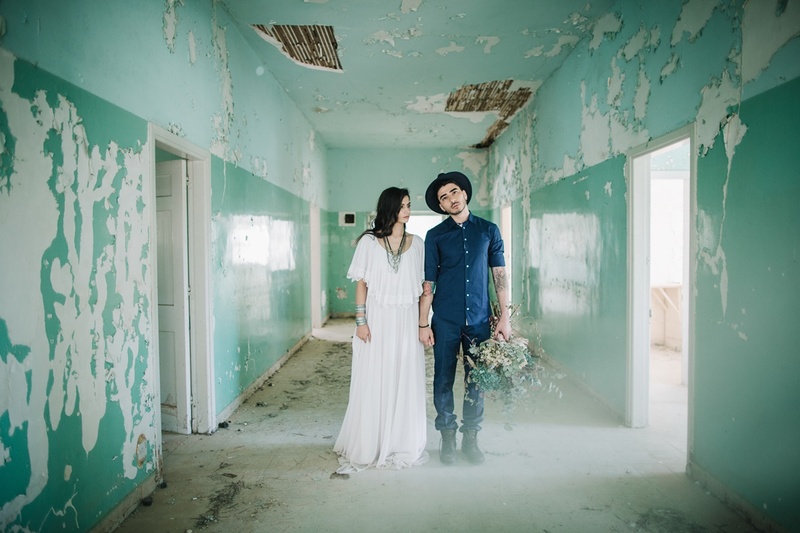 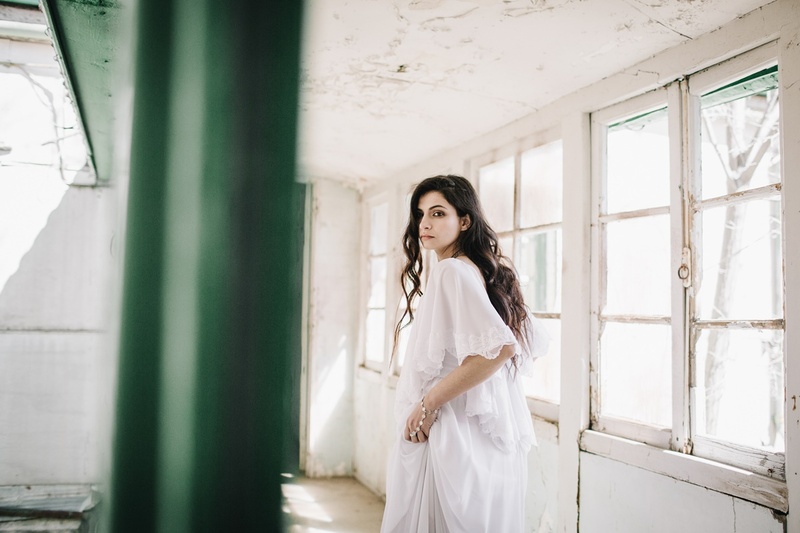 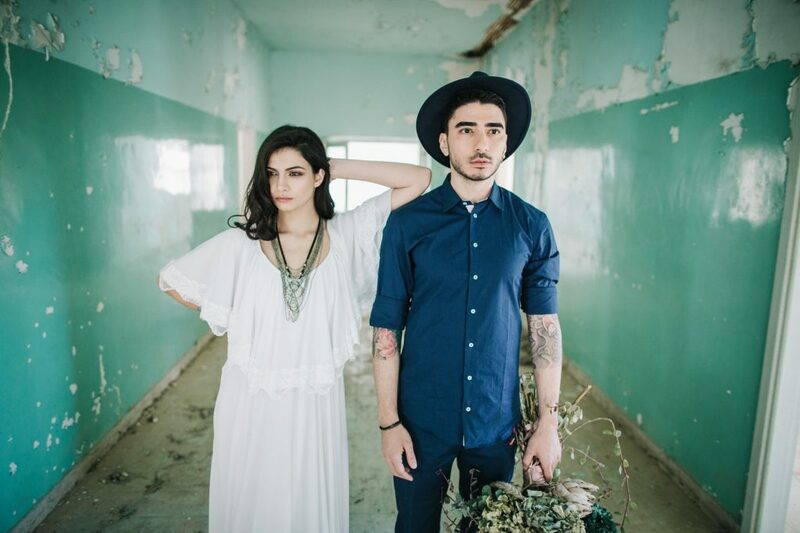 *By Beyond Weddings: “I was always captivated and mesmerized by images of abandoned buildings. 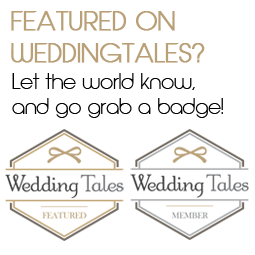 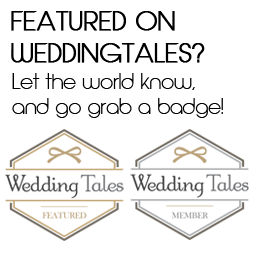 Of course, the aesthetic reasoning behind these buildings is what makes them so interesting. 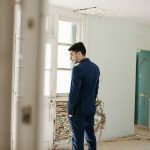 It’s also an opportunity to enjoy these buildings outside their original context and use and to be open to what they can offer. 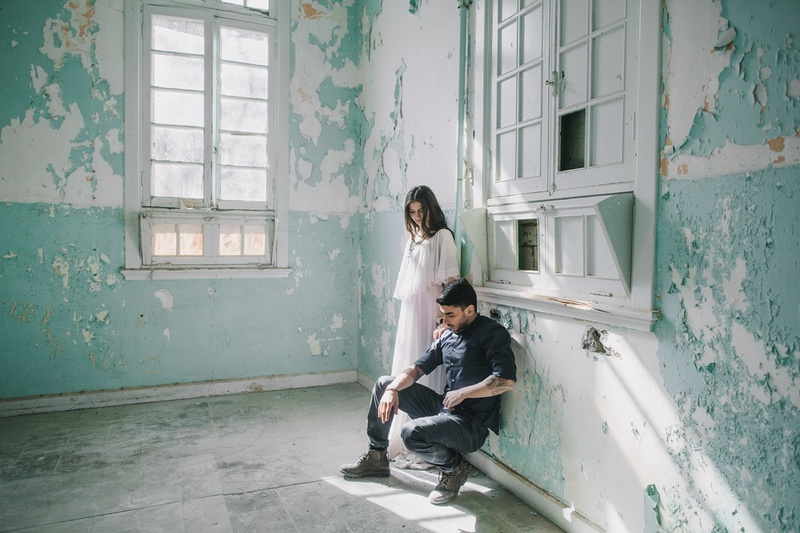 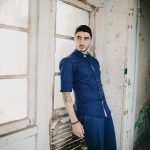 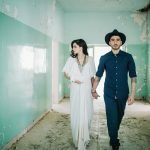 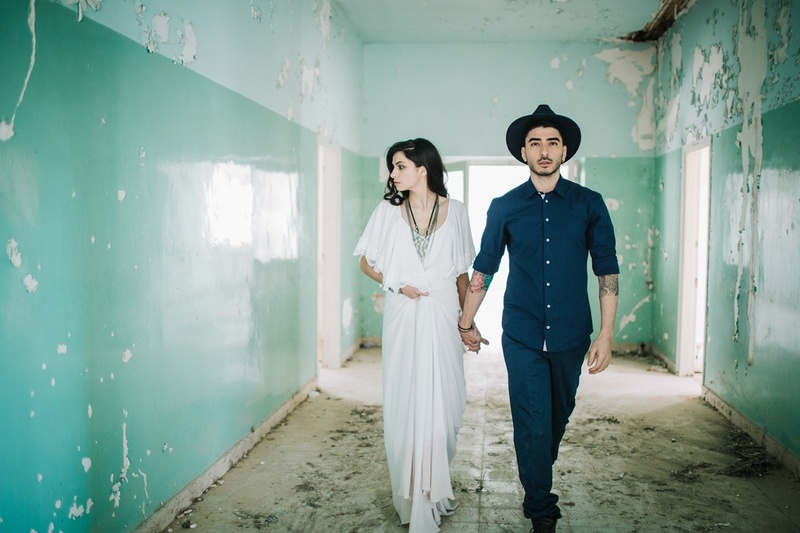 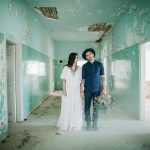 I chose an abandoned hospital in a remote village up in the mountains of Cyprus for our wedding photo-shoot. 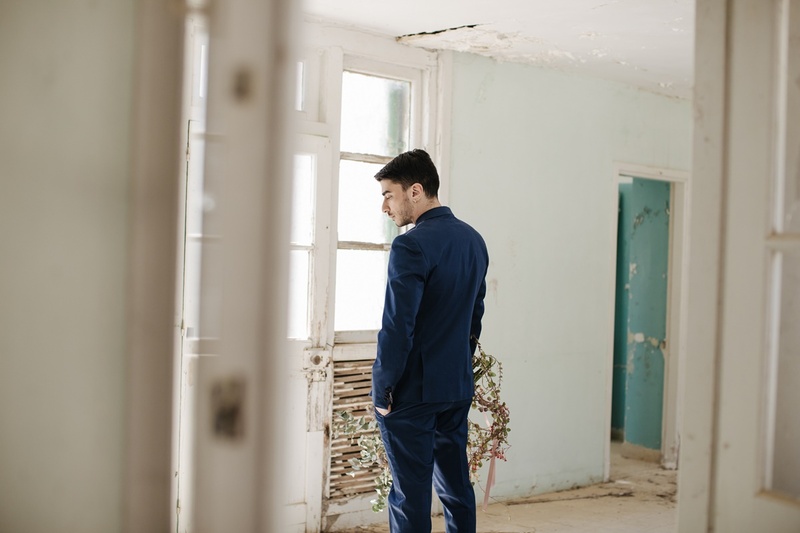 The original use of the building had passed yet the space was pretty much breathing and full of limitless inspiration. 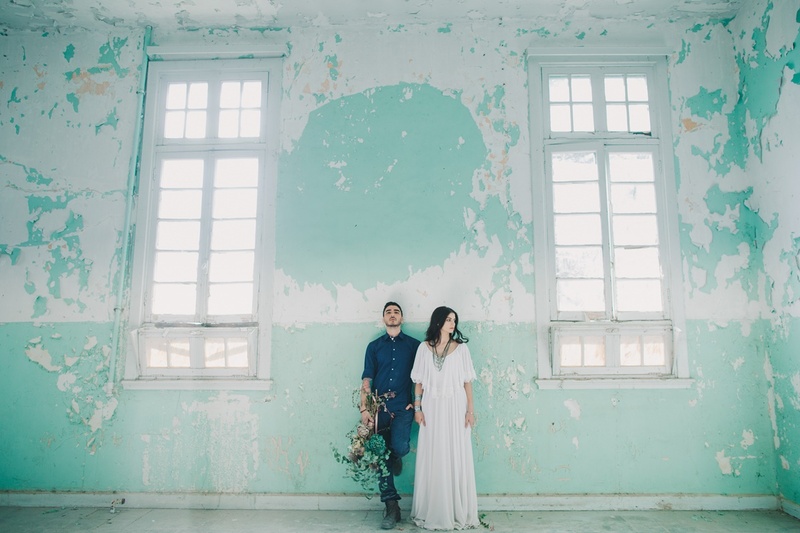 The concept was to create a love story and the spectacular scenery made it easy for me to visualize the elopement themed photo-shoot. 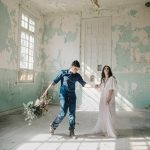 The photography was a channel to transmit the imaginative interpretation of the location, the people and the natural light. 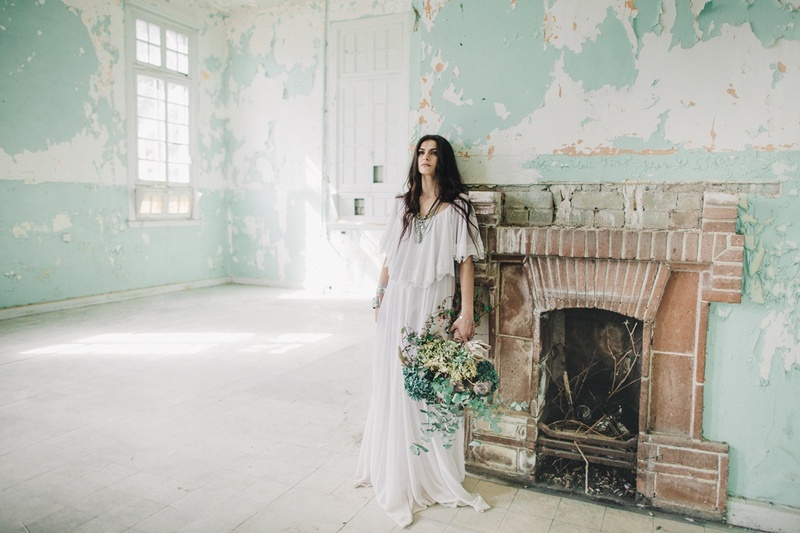 The eerie ambiance, boho reminiscing colors and light made it easy to communicate the feelings the whole team received. 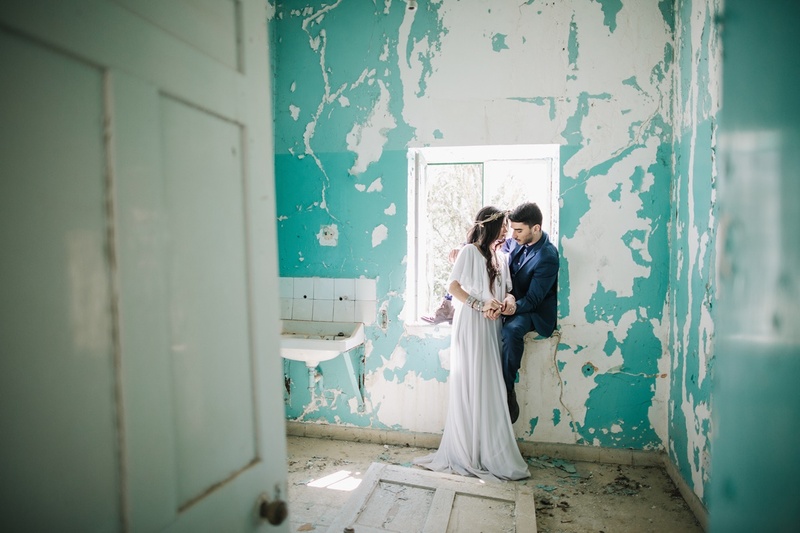 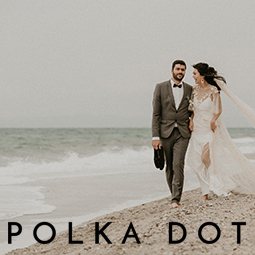 The faded yet so alive colors of the walls and novelty of the rooms reveal that weddings may differ but will always become a bond under any situation and in any given time and place”.